When thinking about Tony Humphries, you might be minded of his epic stint at KISS FM as one of its greatest Mastermixers; or of his residency at one of the greatest US clubs, The Zanzibar; or, even, the walls that are lined with gold discs, from Indeep to Janet Jackson; or even his legendary eclecticism. Tony is all of those things and more. But then, there’s the Tony of today, restless, questing, searching for new challenges. Which is pretty much how Tony has always been. Few people realise just how deeply steeped in performing Tony Humphries’ family is. His father, Rene Grand, an émigré from Colombia in the 1950s, was a prominent bandleader in New York, alongside peers like Tito Puente and Eddie Palmieri. Plus he has a raft of cousins, uncles and aunts who have forged a career in the performing arts. Tony was born to it. Tony Humphries has been DJing nearly 35 years, an incredible achievement that in any other industry would have been rewarded with a carriage clock or service medal. His big break came through a chance meeting with Mastermixer Shep Pettibone at the offices of Prelude Records. Tony handed the maestro a tape and the rest is history. Humphries’ star rose as his KISS FM show (and later HOT 97) lasted for decades. 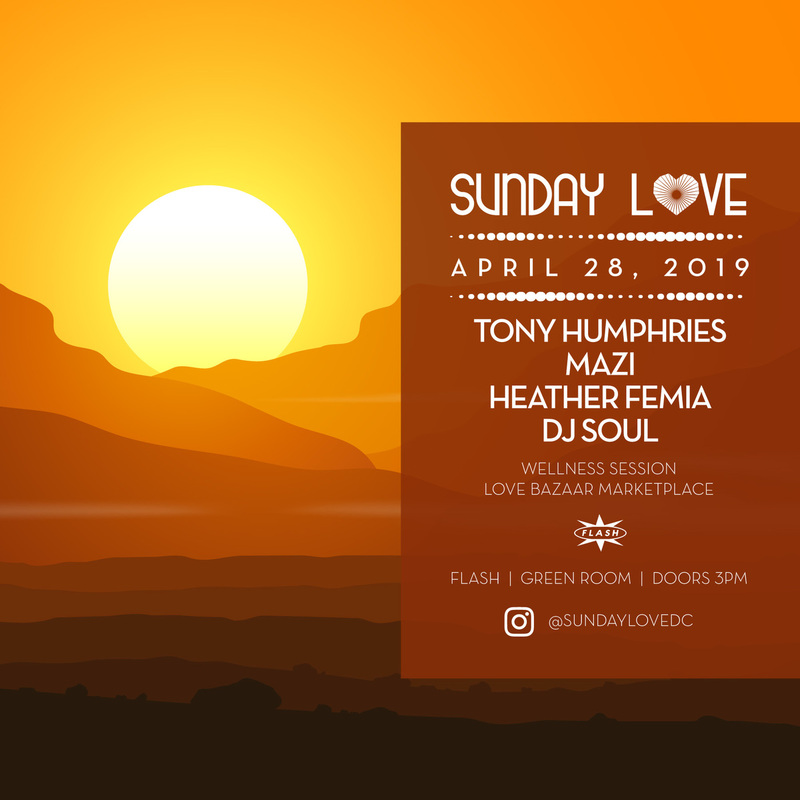 Although Humphries was born and raised in Brooklyn, NY, he has long been associated with New Jersey and the reason for that is his long-held residency at Club Zanzibar in Newark that began in 1982. Zanzibar became synonymous with a new soulful electronic sound, labelled the Jersey sound, but with Tony’s hands at the tiller it was a vastly more varied menu than that suggests. “It wasn’t like going to a house club, everything was intertwined,” explains Tony. “The hours were long, so obviously you didn’t want to hear ten hours of straight house music. If you’re going to pay $15-20 to hear this guy, you want to hear the whole damn spectrum. You had to come with everything possible. Talking Heads and The B-52s don’t sound like Zanzibar/Garage records, but they were. I think that’s what the Zanzibar’s appeal was.” Although Tony is often seen more as a DJ than a remixer, his forays into the studio have always been productive. His remix of Mtume’s ‘Juicy Fruit’ has been sampled on several big hip hop and R&B hits and Fresh Band’s ‘Come Back Lover’ is rightly regarded as one of the best disco songs of the 1980s. He has gone on to remix scores of artists from Soul II Soul to Janet Jackson (which earned him a gold disc). Poignantly, Tony was enticed back into the studio in 2013 by Frankie Knuckles who asked Tony to do a swap mix for a track he’d been working on. As Frankie told Tony, “You’re a great remixer. I just thought folks needed to be reminded.” His reputation in Europe, established via illegally copied tapes of his KISS shows, grew hugely after successful jaunts to influential parties like Danny Rampling’s Shoom & Norman Jay’s High On Hope in London. He was coaxed back to Europe in the early ’90s for residencies at both Ministry of Sound in London and Echoes in Rimini on the Italian Riviera. Tony’s first label venture Yellorange was launched in 1998 and ran the gamut of styles, from the soulful vocals of Mel’isa Morgan, Miguel Plansencia’s Afro-Cuban flavors, through to Soweto Funk’s Italo-grooves. His latest venture, Tony Records is, “showcasing younger artists and producers doing soulful music in a modern form.” Check Tony’s own recent release Housework EP, which fuses blues, gospel and worksongs into a brilliantly contemporary setting (or even his new mix compilation with DJ Spen, Quintessentials, demonstrating his expansive style). In 2009, Body & Soul promoter John Davis brought Tony together with ‘Little’ Louie Vega and David Morales for a ten-hour session at New York’s Webster Hall that was appropriately dubbed the Kings of House. Little did any of them anticipate the success that this would be, turning into a worldwide phenomenon that has straddled continents and cities, as well as regular trips to the likes of Pacha Ibiza. What strikes anyone when meeting Tony Humphries is not what he’s done or where he’s been, but where he’s going. ““Growing up in Boston, our biggest influence was the New York house scene and no one embodies this spirit more than Tony Humphries,” explains Soul Clap’s Eli Goldstein. “For us, the gospel, deep, tribal sound he created at his Zanzibar residency reached us through the many remixes and tracks named after the legendary club. We finally had the honor of opening for Tony this year and we were blown away by his ability to represent the old, while pushing a unique, modern house sound. There is clearly only one Tony Humphries!” Amen to that. As the Corporate Fashion Director for Nordstrom, Heather created soundtracks to designer fashion events across the country. Taking in the nightlife in great fashion cities was part of the job. Currently, trips to Ibiza, Spain, continue to fuel a love of dance music, as well as the chillout genre the island is known for. Heather has been responsible for the musical backdrop to high profile parties, in dramatic spaces, such as the Air & Space Museum in DC and Grand Central Station in NY. Every event and client recieves a custom programmed playlist. Spinning in distinguished underground haunts insures her sets remain fresh and relevant. Her style proudly spans genres, crosses cultures, and always embraces the disco roots dance music sprang from.